Are you feeling archaic and desperately need a hairdo for your tresses these days? Then don’t be burdened at all; because very soon you are going to get lots of approves and compliments for your new modish look, and that will be only because of your new super-model hairdo. If you are looking to get yourself an absolute hip & chic coiffure; then Dubai is the best place to rejuvenate a new you; and trust me, the town will respond you so well with its amazing range of maven hair salon Dubai – like it always do for you. Like skin, hair care is either essential, as our hair plays a vital role in defining our personality. And when it comes to hair care, we always want someone who understands the desires and requirements of our hair. But we also remain concerned for them; as hair is one the most delicate body trappings that we just cannot allow anyone to handle. Thus we only embrace the finest processes and techniques offered us by a professional. So, if you are reading this support while sitting somewhere in Dubai right now; then check out our rundown, that is assembled especially for you, to aware you of the best hair salons in Dubai, that are all set to give an absolute stylish and well-groomed look this year. Our basket has five best hair salon Dubai that can help you triumphing your ‘First 2016 Look’. From hair color to haircut and rebounding to blow-dry; Jacque La Coupe has answers to all your hair desires in Dubai. This sophisticated world of renewed style and beauty is primed to deliver its expertise to assist you finding what you and your hair are actually looking for. Whether you are seeking a whole new makeover or revival of your traditional guise; Jacque La Coupe will never disappoint you. Jacque La Coupe is a unisex salon and serves 24 hours. The hairstylist Toni at Jacque La Coupe is highly recommended and praised by numerous clients. You are awaited at Jacque La Coupe located at The Address Hotel – Dubai Marina. For appointment and details, feel free to dial +971 4 445 8381 anytime. Another stylish stopover to reinvent your hair is definitely Salon Ink. This up-to-date salon knows exactly what you need. Their exclusive services include haircut, hairdo, dying, blow-drying, styling and hair-care. This hair salon Dubai is absolutely the best for hair color and style updates. Minimum price range starts from AED 135 and goes up to AED 800 depend over your hair length. Salon Ink is situated at the Jumeirah Beach Road – Dubai. For details visit the official website of Salon Ink or contact at +971 4 385 4402. If you are still unable to find ‘The One’ that is ‘One’ in all, and that is capable of bringing out a new you, then ‘The Loft Fifth Avenue Salon’ is unquestionably ‘The One’ for you. This hair salon in Dubai is specifically renowned for hair, nails and spa offers first class premium services to its elite clients. The salon has separate sections for Him & Her where experts serves you exactly to your needs and demands. The salon is a premium stopover for fashionable hair styling, treatment and hair care. The Loft Fifth Avenue Salon is located at the Dubai Mall, Down Town Dubai. For appointments, dial +971 4 434 0856. Great hair doesn’t happen by chance, they happen by appointment; and especially when you have an appointment at Belle Femme Beauty Salon. With captivating super-mod and organized interior, this Dubai salon offer an exclusive wide ranging beauty, skin, hair, nail and spa services. This place is specifically famous for its amazing relaxing treatments, hair oiling and massage, and other latest hair care treatments to make your hair outshine. Belle Femme is an up-to-date hair salon Dubai, that is organized and geared up to offer you premium services at reasonable value. This posh salon is placed at the Jumeirah Beach Resort. For appointments, feel free to call +9714 395 3334 between 10:00 am – 10:00 pm. Maria Dowling is a professional hair salon in Dubai with expert staff, great products and excellent services. The salon is best for color and their services involve tone consultation, hair spa, dry styling, volumizing, haircut and blow drying. Maria Dowling is an exclusive salon for ladies that is owned and run by the hair specialist – Maria. The salon is placed on Al Wasl Road – Dubai, Dial Maria Dowling at +971 4 345 4225. 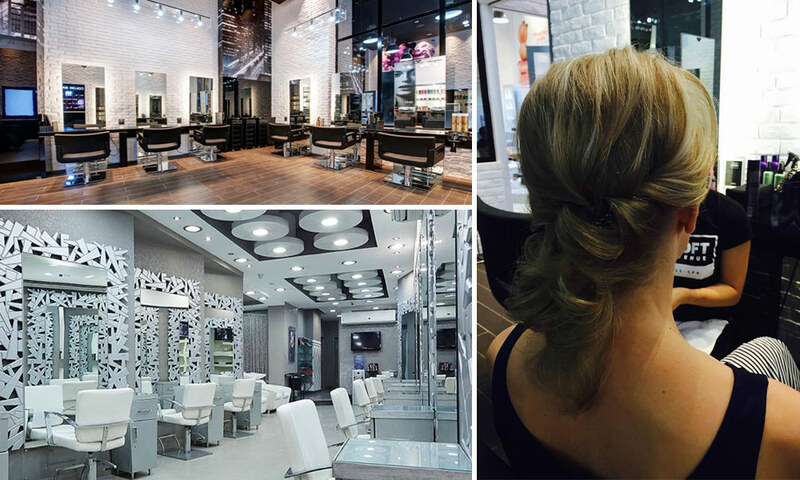 These are some of the recommended and best hair salons in Dubai for unisex. If you have visited one of the above mentioned hair salon Dubai or would like to recommend other, please feel free to add comments below. so nice saloon i like it by the way i am a hairstylisht !